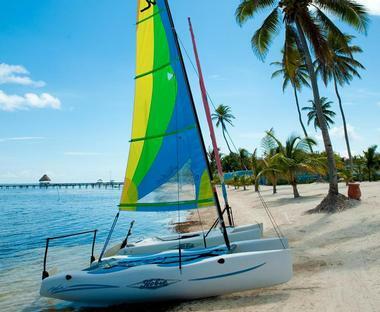 Check into one of these amazing beach hideaways and all inclusive resorts in Belize to enjoy sandy beaches and fantastic snorkeling. 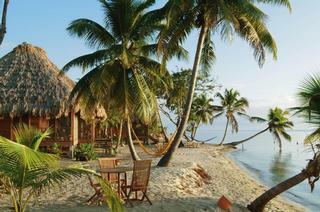 Belize is a great destination for honeymooners and couples looking to relax in the sun and try new activities. 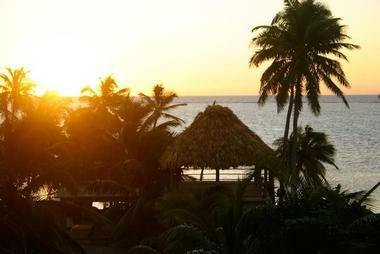 In the evenings, stroll along the beach and admire the sunset, followed by a romantic dinner with a view of the water. Each of the properties that made our list is known for its five star service. One of the hotels, Turtle Inn, was created by the famous director Francis Ford Coppola who is a big fan on this unique destination. 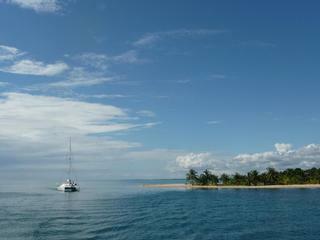 Cayo Espanto is the most pricey on this list of best Belize getaways, but it also offers the most privacy. Located on a tropical island in Belize, Cayo Espanto is one of the best resorts in the Caribbean, with just 7 gorgeous guest accommodations. There are six luxury beach villas with a plunge pool and a single over water bungalow, favored by honeymooners. It's no coincidence that there are 7 secluded beaches, matching the number of luxury villas to make sure that everyone can find a private sandy spot. If you venture out exploring you are unlikely to bump into others, since villas have private pools, stunning ocean views and a host of luxurious amenities. Once you are done relaxing, choose from an array of water sports such as snorkeling, scuba diving, sailing, fishing, windsurfing or catamaran sailing. You will have access to the world's second largest barrier-reef system (the Great Barrier Reef in Australia is the largest). The property can also arrange birdwatching tours, private cruises, picnics and jungle tours. Relaxing massages are must on such a luxurious getaway, and you can enjoy them in the privacy of your own villa. All meals are included and scrumptious, prepared by award winning chefs using seasonal ingredients. The menu changes daily so no matter how long you stay, you taste buds won't get bored. If you are planning your honeymoon, don't be afraid to let your imagination run wild. The resort can arrange breakfast in bed, romantic beachfront dinners and healthy spa-style meals. 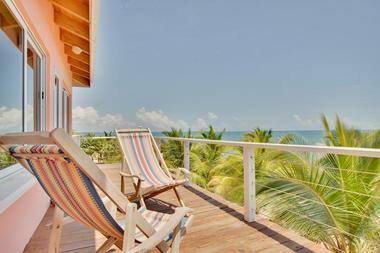 The 4-acre property is located off the coast of Belize. Temperatures ranging from 73 degrees F in the winter to 84 degrees F in the summer, making this a year-round getaway. Fly to Belize City which is a two-hour flight from Miami and Houston. The resort will arrange a local flight to San Pedro for around $120 round-trip or a helicopter ($1,140 one way). All-inclusive rates at the resort include three gourmet meals daily and non-motorized water sports, starting at $1,195/night (888-666-4282). Victoria House offers 42 Casitas, Plantation rooms, Suites and Private Villas overlooking the reef and white sand bay. You will be surrounded by lush tropical gardens and enjoy plenty of privacy. The hotel has an on-site dive shop and a dedicated Activities Director who can help you plan your ultimate activities. Choose from fishing, diving, snorkeling, birding and cave tubing. Book a thatch-roofed casita with a locally handcrafted mahogany bed and Caribbean views. Rates start at $195 per night. 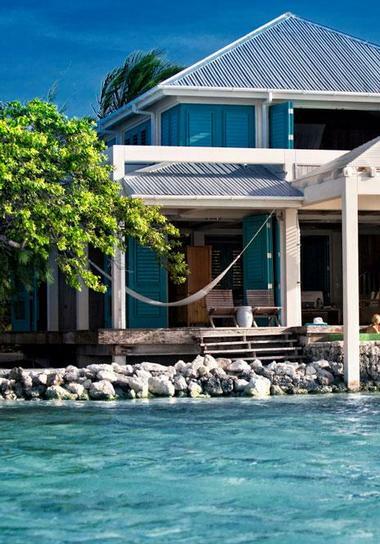 A pristine tropical getaway on the private island of South Water Caye in southern Belize, Blue Marlin Beach Resort is a barefoot paradise for scuba divers and beach lovers. 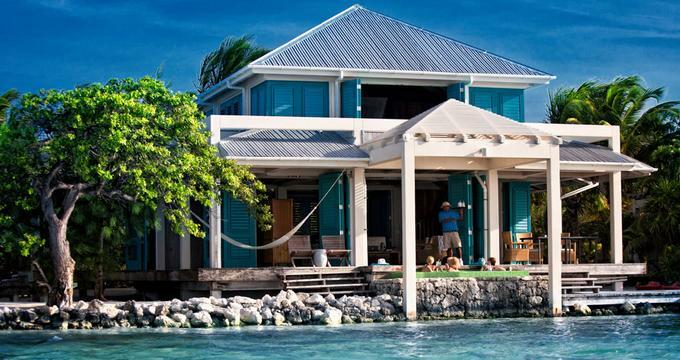 Resting at the tip of the magnificent Belize Barrier Reef, this award-winning retreat offers Crusoe- style beach cottages, unique beach igloos and luxurious villas. Guests can expect luxury service, en-suite bathrooms, and modern amenities. Enjoy a fusion of local and international cuisine and fresh seafood at the lagoon-front clubhouse Charlie’s Restaurant and Bar. Sip colorful cocktails at the vibrant island bar while you play a game of darts or billiards. Surrounded by gin-clear waters and beautiful reefs, there are many water-based activities to choose from, such as snorkeling, diving, fishing and sea tours. All inclusive rates start at $775 for two nights, including all meals, boat transfers and tax. If you are looking for something unique for your vacation, call Absolute Belize which offers tailor made itineraries, including private luxury catamaran cruises that let you explore some of the most hidden bays and dive spots. Honeymooners should ask about the Hammock Honeymoon package (from US $4,950 per person for 8 nights, all-inclusive) which includes several days aboard a luxury catamaran, followed by a stay at Turtle Inn (800-640-2182). Ak'bol Yoga Retreat and Eco Resort is a yoga getaway, offering a relaxing ambiance, affordable accommodations and scenic ocean views. 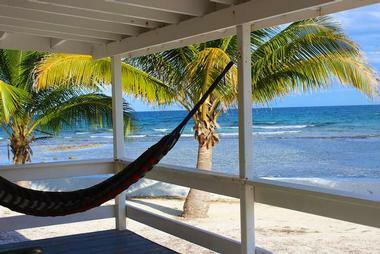 The resort is located on Ambergris Caye. In addition to yoga, activities include snorkeling and diving on the world's second largest Barrier Reef, fishing and biking. 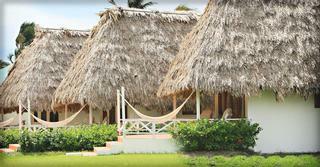 Guests are accommodated in 7 eco-friendly thatched-roof private cabanas. In the morning, you will wake up to the sounds of birds and tradewinds rustling through the palm trees. Each cabana has been built to offer the best ocean views. Each cabana has a private outdoor shower and a front porch, perfect for relaxing surrounded by nature. Rates start at $90 USD. Guest accommodations at Las Terrazas are huge. Guests get to choose from 37 one- to three-bedroom layouts that range in size from 983 to 3,000 square feet. Book one of the Seahouses for quick access to the white sandy whore. Serenity Spa and Wellness Center at Ambergris Caye Resort offers unique treatments such as Belize-inspired facials, body masques and ultra-relaxing couples massages. One-bedroom town homes at Las Terrazas start from $300 per night. Nestled on the Placencia Peninsula in southern Belize, surrounded by a lush tropical rainforest and stretches of white sandy beaches, Laru Beya is a romantic seaside retreat from which to escape the daily grind. Beautiful garden and ocean-facing rooms, suites and deluxe penthouses feature contemporary décor, natural hues, bright living spaces, private balconies with hammocks, and floor-to-ceiling windows that embrace to views. Choose from rooms with private rooftop Jacuzzis to a multi-room suite with full kitchen. Relax next to the sparkling infinity swimming pool as you soak up the views, bask in the shade of a thatched cabana with your toes in the sand on the private beach, and try a variety of activities, such as kayaking, sailing, mini-golf and cycling. The open-sided Quarter Deck Restaurant serves delicious cuisine in a beautiful island setting. Have decadent three-course dinners surrounded by warm ocean breezes.